John and Jacklyn's Blog: Is This Movie Too Scary For Disney, And Therefore Your Kids? Is This Movie Too Scary For Disney, And Therefore Your Kids? Angelina Jolie’s latest movie Maleficent may not be the sure-fire box office hit some were expecting. The film stars Jolie as Disney’s infamous Sleeping Beauty villain and some insiders are suggesting the character may be too scary, which will cause the film to flop. 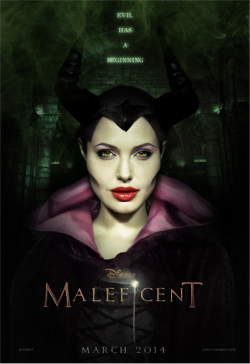 Said one source, “it’s definitely in the ‘not a sure thing’ bucket.” Maleficent opens May 30th. Here's more on the story. So what do you think? Just looking at the pictures from the film, do you think it might be too scary for your kids? Drop us an email at johnandjacklyn@kicks1063.com. I Knew It All Along! Did You Figure Out What It Is? Michelle And Kellie On "Nashville"
At Last! We Can Legally Waste Time!